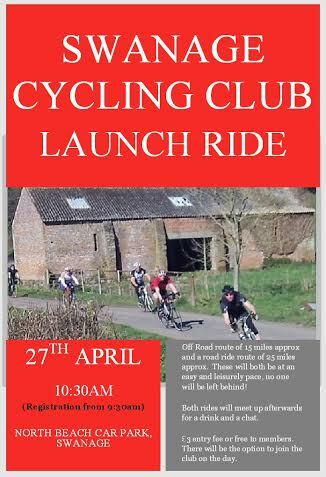 Swanage cycling club will be launching their first ride next week. If you are free and enjoy cycling, then join them in their launch. They will be organising rides each week, for all levels of ability. We will certainly be teaming up with them when we can. Join their facebook page to find out more!